When the Boy and I first visited Le Petit Prince, I couldn’t help but think of the little boy that had fallen to earth from his tiny asteroid and his love for his flower he left behind. I was also very happy to note that the cafe had used copies of The Little Prince as menu’s (paper menu attached to the book for those who *gasp* out loud at the potential book abuse). Since they opened over a little year ago, Le Petit Prince has grown from a tiny cafe with hardly enough room to cook to a fairly comfortable cafe in the leafy suburb of Armadale. The menu has also changed considerably as they used the feedback gained from the local crowd on what they liked (or not liked) to improve for the better. In terms of decoration, I absolutely loved the vintage pieces of storage boxes and rusty (and rustic) scattered throughout the cafe. 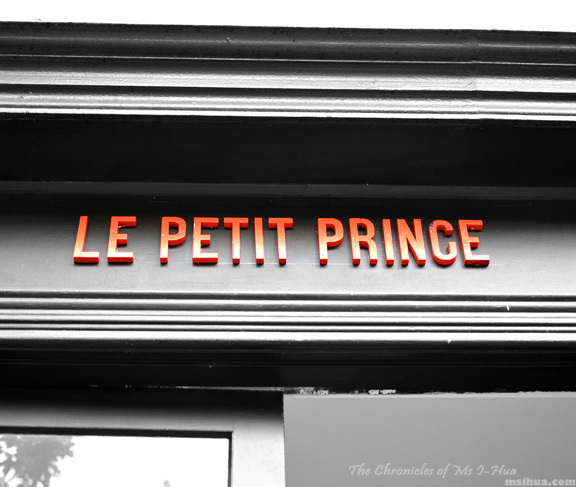 When we first visited, Le Petit Prince was still working out its kinks and had only been opened for a month. The service was slow, and the food though good, was nothing to get excited about. It lacked some of the Melbourne punch that we so love. 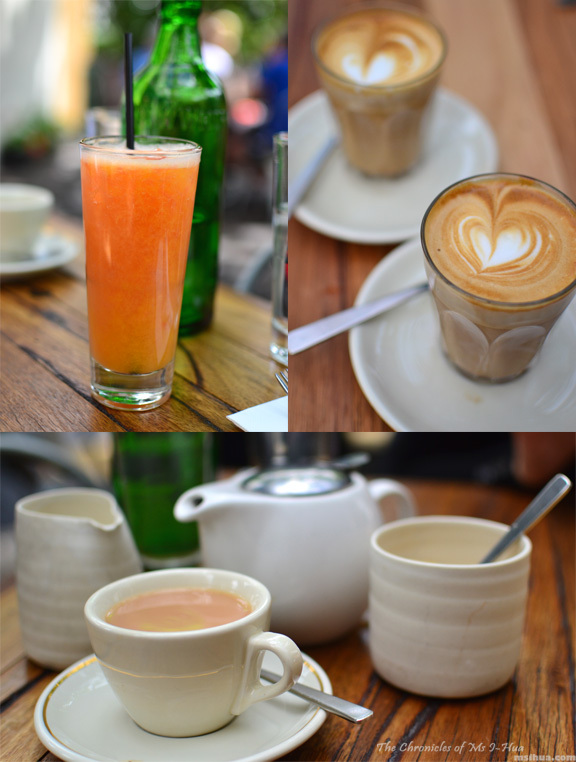 Fresh Mixed Juice ($6.50), Latte ($3.80) – Coffee Supreme beans, Organic Breakfast Tea ($4.50) from Storm in a Teacup. They make their juices fresh on site so the consistency of the sweetness (and tartness) of the drinks lie solely on the fruit itself. Coffee was good and decent too. 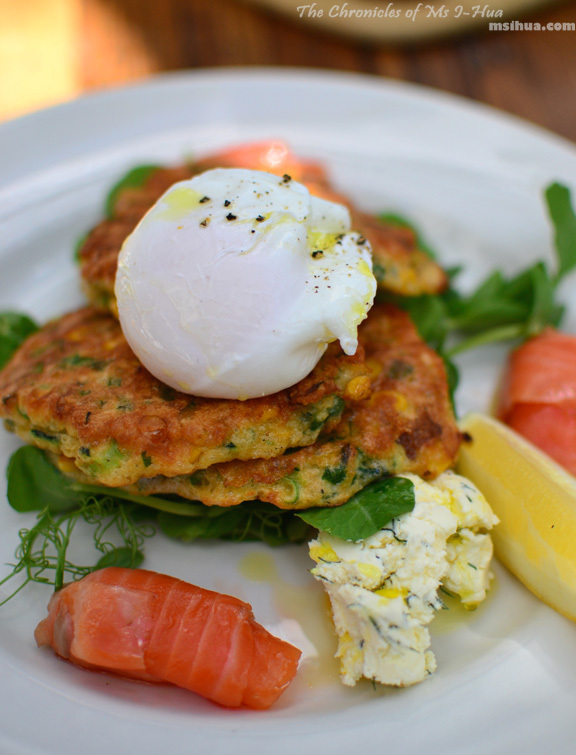 The moment I noticed that there were Corn Fritters, Smoked Salmon, Poached Egg, Pickled Cucumber, Dill Creme Fraiche & Snowpea Tendrils ($18.50) on the menu, I knew I couldn’t go pass it. I especially loved the dill creme fraiche that came with it. The dish overall was pleasant and my only gripe would be that the fritters weren’t crispy enough. All else, it worked perfectly in the taste component. Now my friends, this is what I know as the ‘Melbourne Punch’! 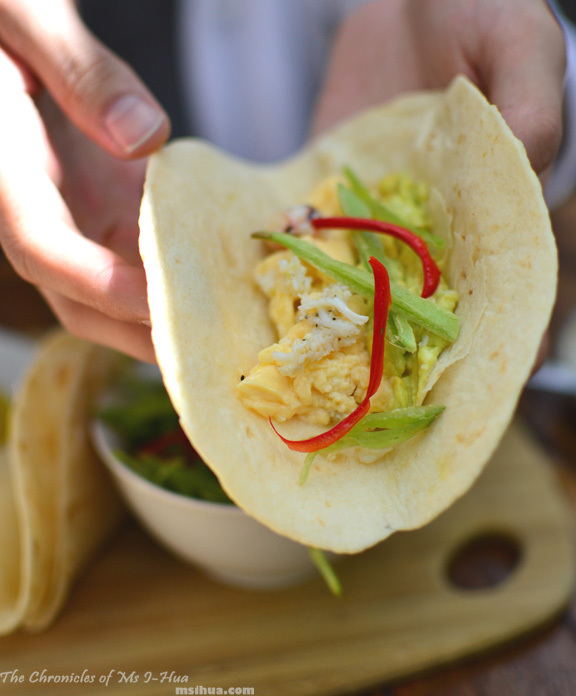 Soft Flour Tacos, Crab Meat Scrambled Eggs, Fragrant Mix Leaves, Smashed Avocado, Fresh Chilli & Lime ($18.50) for breakfast? Sure thing, honey! 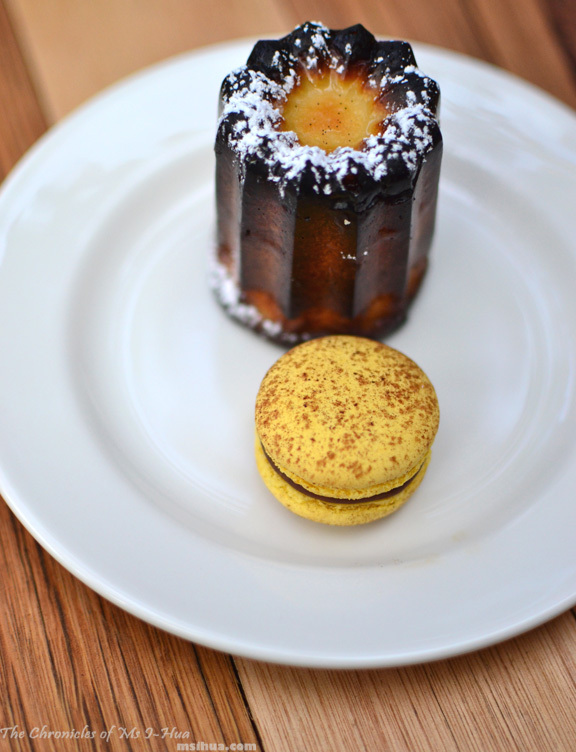 What would you choose when presented with a plate of Canele & Macaron? They also serve wicked caneles here (when available) if you happen to be a fan! If you happen to be around High Street shopping and need somewhere friendly with an abundance of eye candy *cough* goodlookingwaiters *cough*, punchy Melbourne-esque dishes, you must drop in. 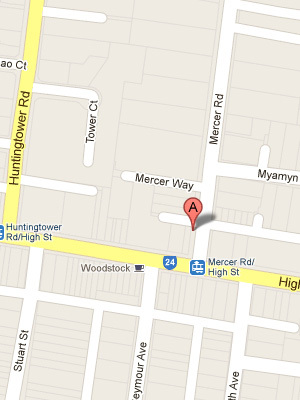 yum, another place nearby that I never knew about, definitely penciling in a visit. 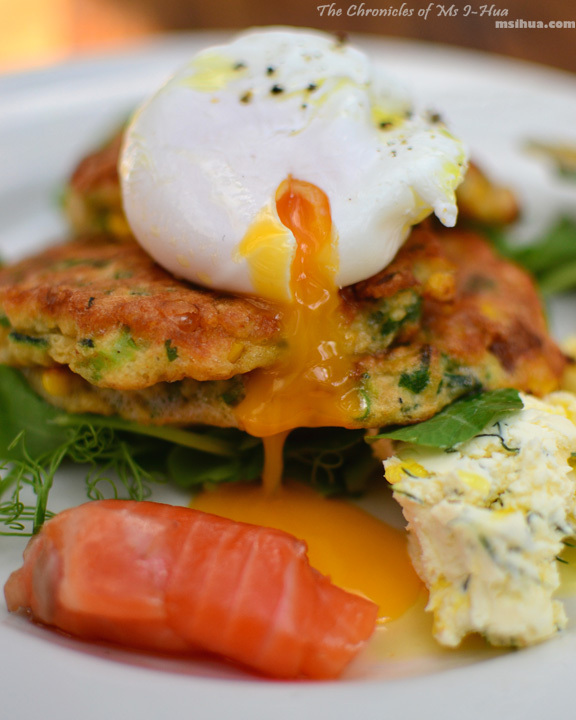 That poached egg looks just absolutely perfect indeed! What a cute spot! Think there were mixed reviews when first opened, but would love to pop by now! We had mixed reviews too, which is why we waited for nearly a year before making a revisit and it was worth it. 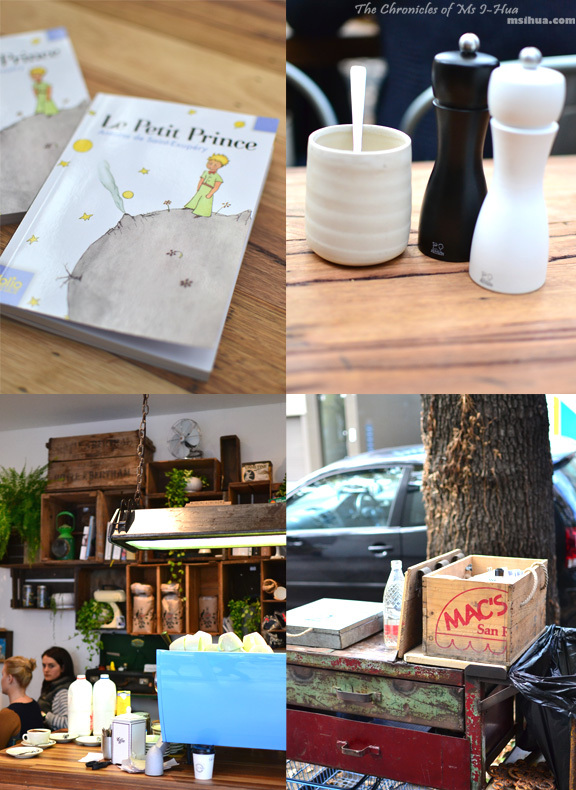 Le Petit Prince has been on my ‘to go’ list for agessss but I always forget about this little cafe when I think of brunching hehe ~ everything looks lovely. But damn I like my fritters crispy too! So many new places to try! 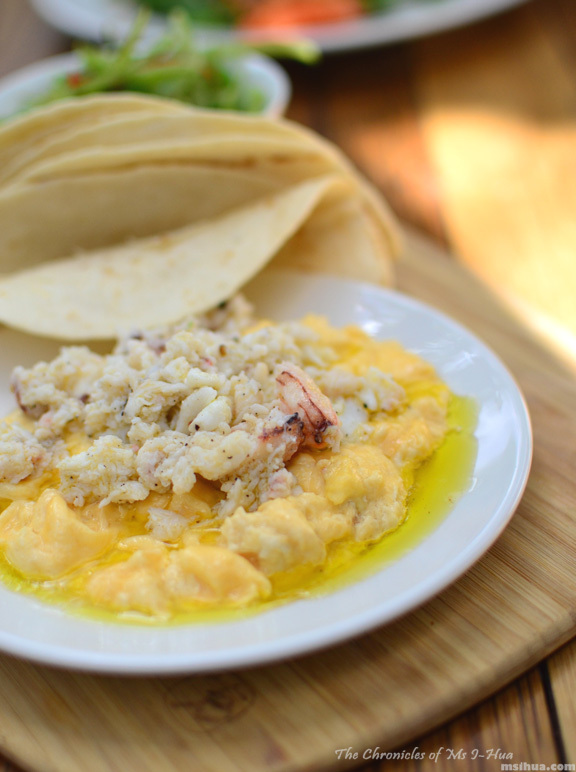 I would suggest that you stick with the crab tacos as that is a fun and delicious dish to try! Caneles AND macarons. Choice made.